Zodiac excursions are so low in the water you can really get close to the whales! Enjoy a fascinating sea excursion with Essipit Cruises! Glide just above the water surface in a Zodiac to the deepest parts of the river where food is plentiful and you can observe the majestic whales of the St. Lawrence as they surface to catch their breath. Encounter whales in complete safety and comfort in one of our 12 or 36-passenger Zodiacs piloted by an experienced naturalist captain. From June 8 to 27 and from September 4 to October 8: departures at 10 a.m. and 2 p.m. From June 28 to September 3: 12-passenger Zodiac departures at 8:30 a.m., 11 a.m., 2 p.m. and 4:30 p.m ; 36-passenger Zodiac departures at 9:30 a.m., 12:30 p.m. and 3 p.m.
From June 8 to 27 and from September 4 to October 8: 12-passenger Zodiac $58/adult, $39/child under 16; 36-passenger Zodiac $44/adult, $35/child under 16. From June 28 to September 3: 12-passenger Zodiac $58/adult, $39/child under 16; 36-passenger Zodiac $50/adult, $37/child under 16. 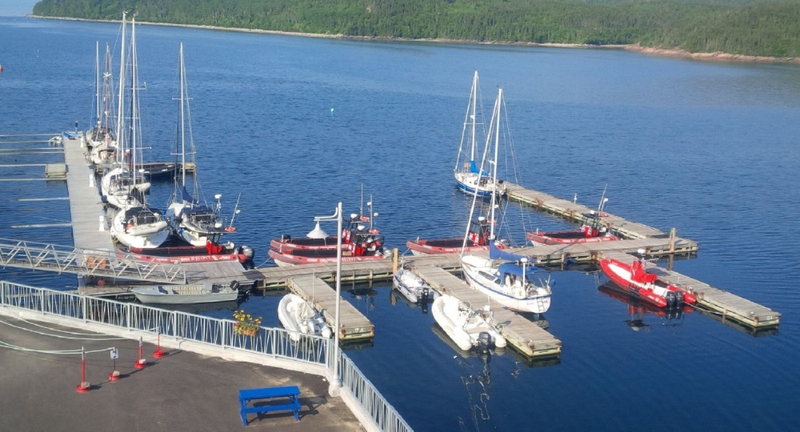 Located near Tadoussac, the Innu community of Essipit invites you to discover its activities and services: whale-watching cruises, black bear watching, fishing lodges, comfortable condos and cottages with views of the sea! Les Bergeronnes, our departure point, is the ideal site for observing whales, since it is near the deepest parts of the river, where the whales come to feed. A comfortable and safe Zodiac excursion for an unforgettable experience with the whales! Participate in an exciting whale-watching cruise! Interpretation of the marine environment and encounters with the most majestic whales of the St. Lawrence. Comfortable and safe Zodiac seating 12 and 36, with several departures per day. From Tadoussac, take Route 138 East to Les Bergeronnes, then turn on Rue de la Mer towards the river and drive to the Les Bergeronnes marina. Tickets are sold on the ground floor of the Archéo Topo Centre.